Dollhouse Floor Plan. A Simple Solution. The more you add to your skills with dollhouses, the more you are tempted to build your own structures. So the most fun you can have in this area is in self-designing. As well what an effect this will have on your esteem. When you know what you can accomplish you are really empowered. Think of the lift that gives to your overall outlook on life. The more you experiment ... The more you gain for yourself ... The more you gain for yourself ... The sweeter your life becomes! With Chief Architect Home Designer Architectural - Design Your Own Dollhouse Floor Plan﻿﻿. This program makes it easy to learn the how-to's of the creative process. It features hundreds of videos online to learn from. Not only can a beginner start designing but they also feature tips for the professional. Learn to design like a pro in a short amount of time. Sit in on their online videos either on their website or YouTube prior to ordering. So you see if this program will help you get where you want it to go with your knowledge of design. You will develop skills others have only dreamed of acquiring. As you diligently study begin to put what you learn to use. Try different appealing ideas to see where your talent takes you. 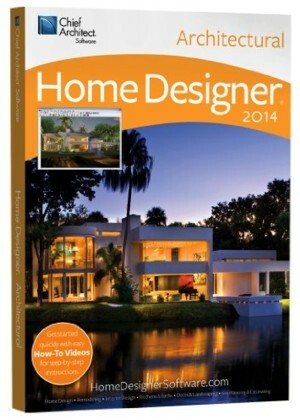 Amazing home designer software for serious Do It Yourselfers. Create designs for the home, remodeling, interiors, landscaping, decks and patios. Even for dollhouses. Converting them to scale. 2,500+ view-able sample plans. Helps you calculate how much your project will cost before starting too. Actually see projects before constructing anything with the use of 3D models. How-to videos offer step-by-step instructions that get you up and working on your own plans. Quick and easy. 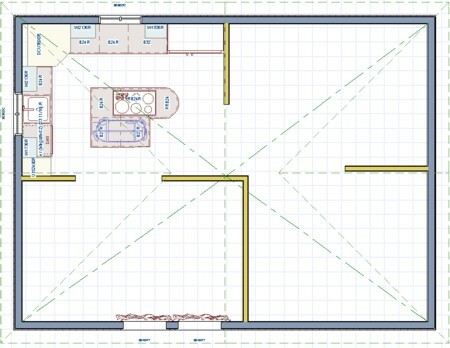 Use an inexpensive simple software program when it comes to experimenting with your own dollhouse floor plan. Chief Architect Home Designer makes designing your own dollhouse floor plan easy. It is one of the simplest software programs sold online. Mainly because of the full range of teaching tutorials it offers. This program makes the novice look professional. At this writing, I was only slightly familiar with this program. But in using it more I began thoroughly enjoying the process of developing my skills for layout. One hint though: Do not try doing your own dimensions. Specifically, using your mouse to draw the lines. At least not until you know your way around the intricate workings of this program. I have personally tried this route and found it was not worth my time at present. However as I gain knowledge of the program and am more comfortable with it that may be something to aim for later. Just not now. From my own experience, it seems to be a breeze to simply use the templates supplied by the program and re-size what needs to be re-sized. Honestly it had been awhile since I had gotten the program out. I started and stopped, and then started again. Sound familiar? So it was a pleasant surprise to view my last attempt at designing with it. I was so surprised in fact that it looked as good as it did. At first I thought to myself, "who drew that layout?" because I actually liked it. Yes we are our own biggest critic. Right? But as I remembered what I had accomplished in that last session I was amazed at how good it looked. And that it was mine! It is so exciting learning new skills of any kind, but even better if they are readily applicable to your miniatures hobby. Can you imagine starting truly from scratch and making your own mini bedrooms, living room, kitchen, laundry room, garage, bathroom, office, family room and whatever else you desire. Perhaps just one tiny suggestion: make blocks and do each room as a separate project. Always remember to incorporate the fitting of these rooms together as one solid unit in the end. 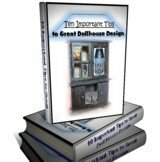 Never be at a loss again for how to design certain aspect of your dollhouse. For the outside as well as in the inside. Use all the information available at your fingertips to help you become the best you can be at design. Have the most fun designing your own miniature structures. It may help to read these instructions as well. How to Build a Dolls House. Once again as you see how someone else went about their miniature design, it gives you insights as to how you can accomplish this on your own. Every little bit helps. Just imagine this route though... no limits as to what and how you have to deal with someone else's design. You have full rule of your tiny empire. Enjoy. With the right music creativity is super fun!